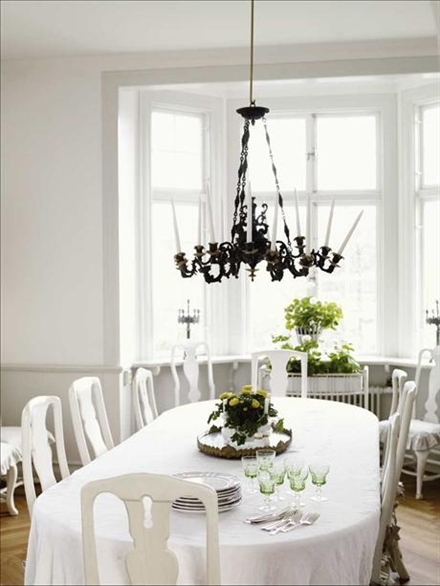 Pretty bright white and light filled Swedish home that has so many great elements. 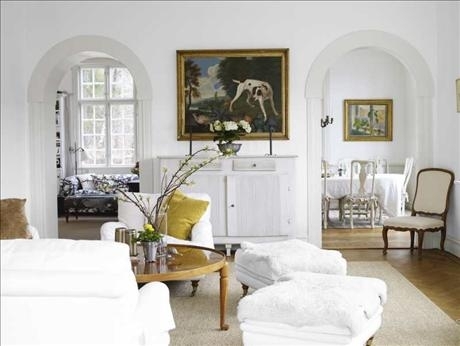 Loving the view from the living room into the dining room and black and white sitting room. 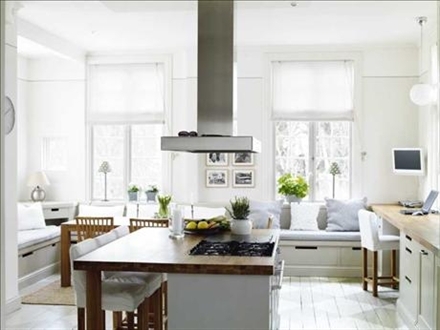 The modern kitchen and black and white tile in the bathroom are perfect!